Battlezone 2: Combat Commander (1999) has been re-released on Steam and GOG.com. Use one of the following links to see/buy. 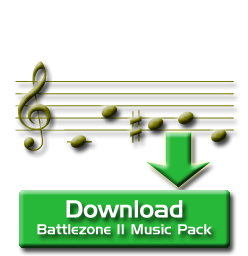 The Battlezone II Music pack has been graciously contributed by Carey Chico, who was both the art director and composer of Battlezone II's music. From his archives at www.careyjamesmusic.com, he's found various pieces of music that was composed for Battlezone II. Not all of his compositions could fit on the Battlezone II CD, so many had to be left out. The music pack contains 176MB of .mp3 files from Carey Chico's archives. If you wish to see what the music pack contains, you can view the release notes in RTF format or PDF format. 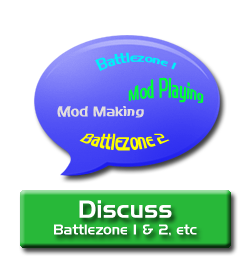 This is a completely optional download, and not needed with any Battlezone II 1.3. * build.